Most of our pasties are made from scratch in-house or sourced locally. 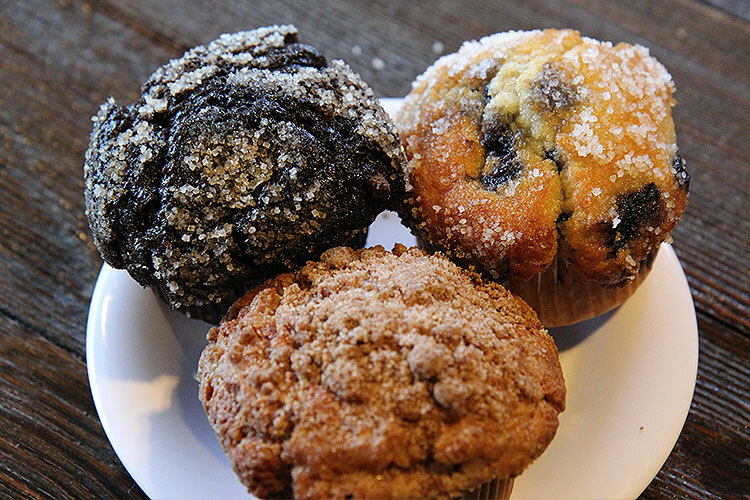 In our pastry case you will find delicious muffins, seasonal homemade scones, fat free and low calorie options, specialty bars, our Mojo's Coffee Cake and much more! 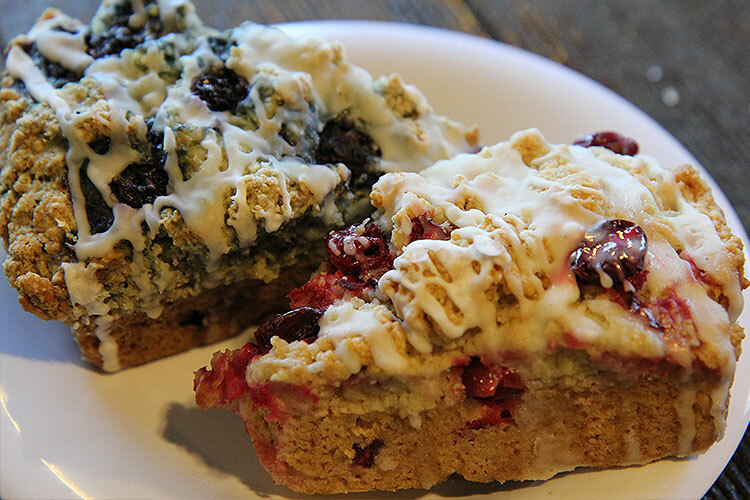 Mojo's also offers a full line of combination vegan & no gluten cookies and seasonal pastries that are absolutely delicious. One of our most popular muffins is our vegan carrot zucchini!